Extend living space of your home by organizing your blank outdoors! Now you can organize your outdoors by causing zero load on your wallet! 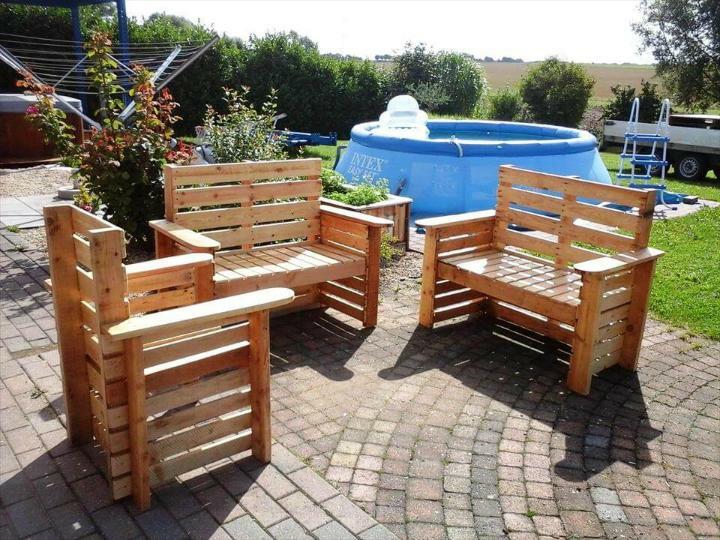 Yes, you can recycle pallets to built all kinds of outdoor furniture you are lacking of! 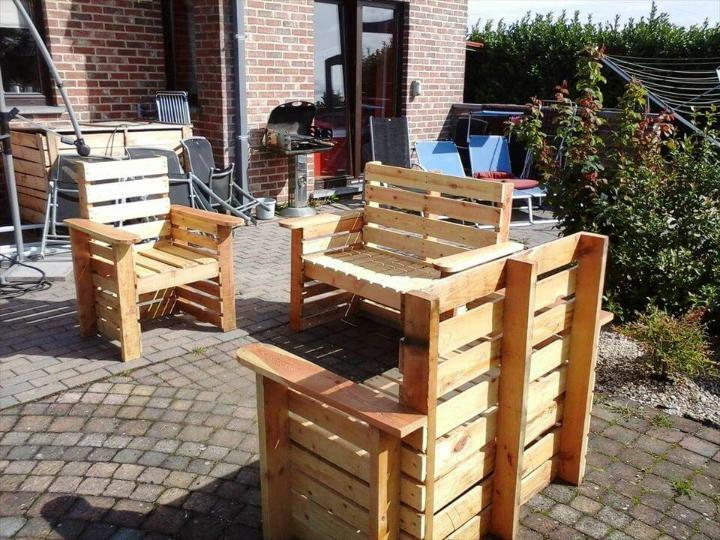 Here is a terrific DIY pallet patio sitting furniture set to hold your attention! The set is having 1 chair and 2 double seater benches of equal dimensions! There is also a pallet table that is having a versatile role there! Construction plan is as simple as you can think! Build the primary wooden skeletons by going smart with sturdy looking pallet planks! Final step would be just to fill up the frame for sturdy berth and backrest positions! 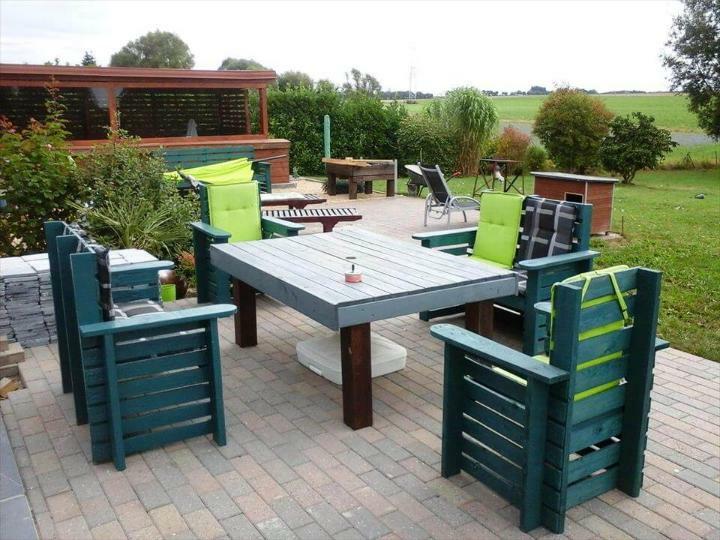 Here choice are all yours, you can prefer a solid and tight filling of pallet slats or can go with a little bit spacing among the planks, either way will work great! Hence, you can target the pallets as amazing alternative to expensive home furniture! 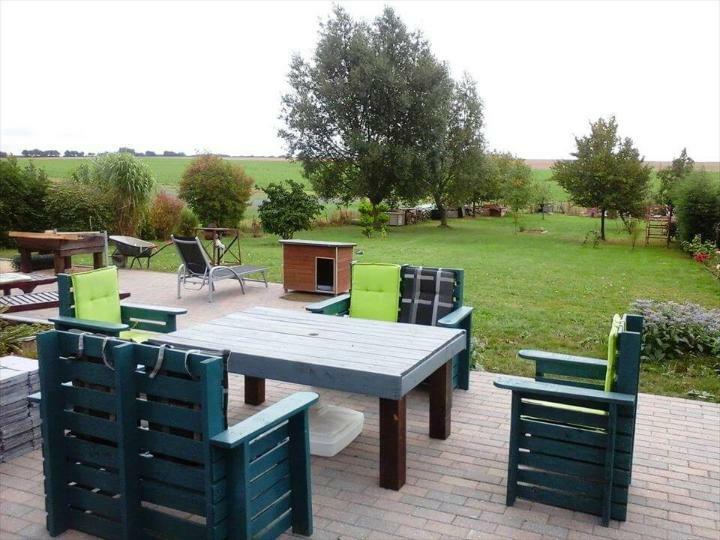 A chair and 2 double seater benches, would be all special to gain a stylish sitting plan anywhere at your outdoor! 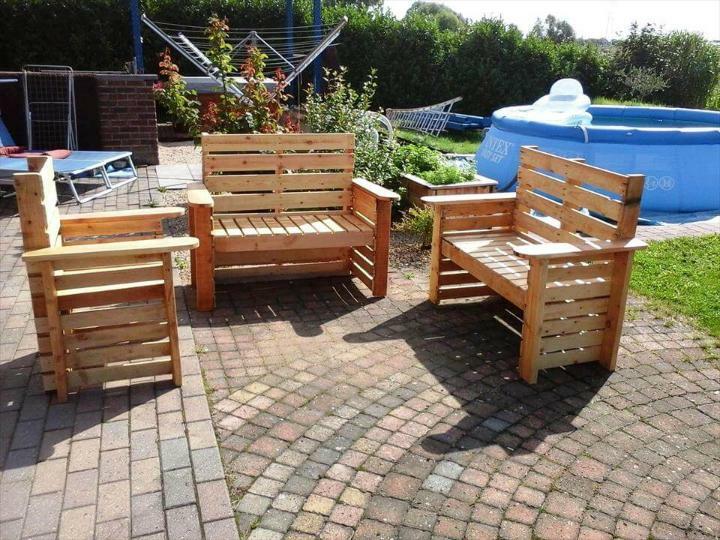 This entire pallet-made sitting set will install a sophisticated sitting plan at your patio, deck and also in your garden space! Put a modern coffee table in the center and get busy in conversations with friends! Build also the necessary coffee tables with pallets and just drag them to center point of your sitting plans! The coffee table comes on sturdy legs and is all pallet-made, make it serve also to your outdoor dining purposes! 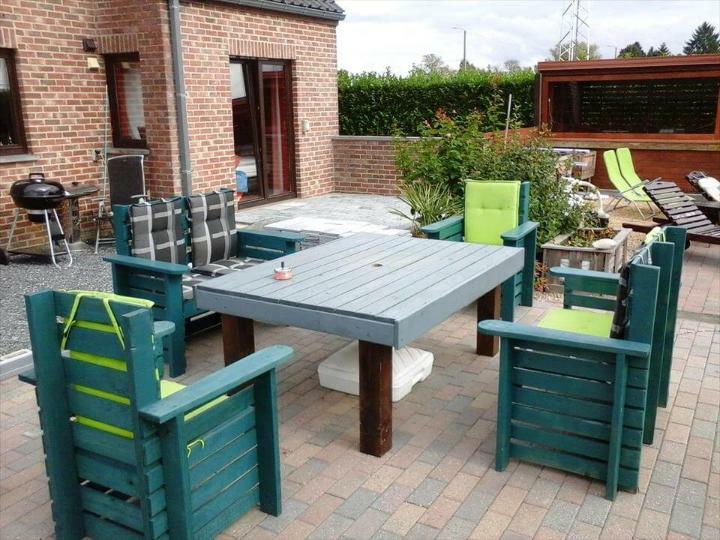 Paint your pallet-made sitting set in your favorite colors for stimulating visual and also for longer weather protection!